BRDC F4 renamed as the BRDC British Formula 3 Championship. The first round of the 2016 BRDC British Formula 3 Championship got underway at Snetterton on Easter Sunday and Monday (27/28 March) with an entry list comprising more than 20 cars. Some of the Club's Rising Stars were in action an with race win and another podium for Lando Norris, a win and two more podiums for Enaam Ahmed, and two podium finishes for 2015 McLaren Autosport BRDC Award finalist Toby Sowery. 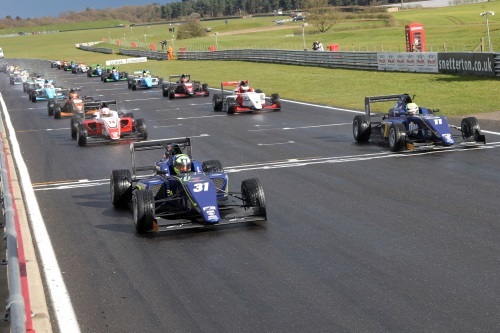 Attention now turns to Brands Hatch for the next round on 16 and 17 April.